It is generally believed that insects find pregnant women more enticing to bite than other humans. We won’t argue if that’s true or not as it could be due to the normal body temperature, but for sure, the risks for pregnant women rise due to insect bites. Even though most of the insect bites aren’t harmful and can be treated normally, one needs to be careful. If you aren’t careful, not only you, but your baby is also at risk of developing serious insect borne diseases. There can be different types of insects including mosquitoes, house flies, lice bed bugs, ticks, bees, etc. The severity depends upon the bite and the place you live in. Yes, the place you live in is also responsible for the diseases you might get due to the bites. Firstly, prevention is better than cure. So, ensure that your home and surroundings are clean so as to decrease the chances of insects in the area. You should also ask your gynecologist or skin specialist (tell them you are pregnant) to recommend you ointments to save from bites. In case that you are actually bitten by a bee or a dangerous insect, consult your gynecologist before taking up any medicines. It is important to consult your gynecologist because they know what medicine may or may not harm you and vice-versa. They are also the best people to suggest the next step. 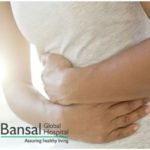 To book an appointment with experience gynecologists, please contact the help desk at Bansal Global Hospital. 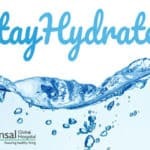 A world-class private hospital located in North-West Delhi, the Bansal Global Hospital offers the best treatment possible and care to its patients round the clock (24×7). The multi-specialty Bansal Global Hospital provides specialist medical and surgical care ranging from simple day-case procedures to complex surgeries, blood and other tests in our state of the art pathology lab, digital X-rays, inpatient facilities.